Call the Internet Department Today! (626) 298-8191. 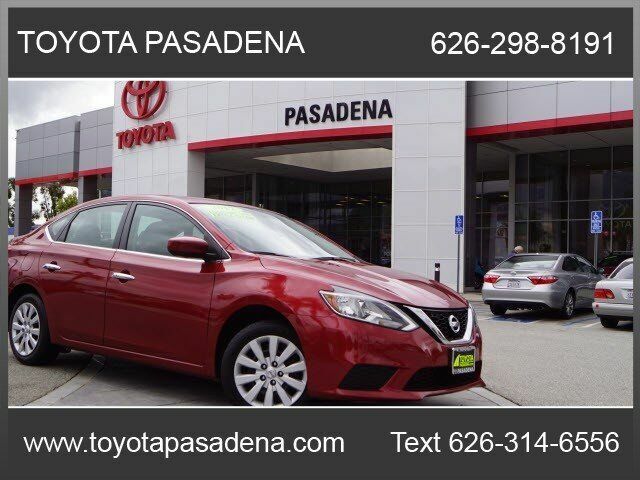 Equipped with a push button start, braking assist, stability control, traction control, anti-lock brakes, dual airbags, side air bag system, digital display, and airbag deactivation, this 2017 Nissan Sentra SV is a must for smart drivers everywhere. We've got it for $12,800. This safe and reliable sedan has a crash test rating of 4 out of 5 stars! It has great mileage with 29 MPG in the city and 37 MPG on the highway. Complete with a sleek red exterior and a charcoal interior, this vehicle is in high demand. This is the vehicle for you! Give us a call today and don't let it slip away! Contact Information: Toyota of Pasadena, 3600 E. Foothill Blvd, Pasadena, CA, 91107, Phone: (626) 795-9787, E-mail: webleads@toyotapasadena.com.